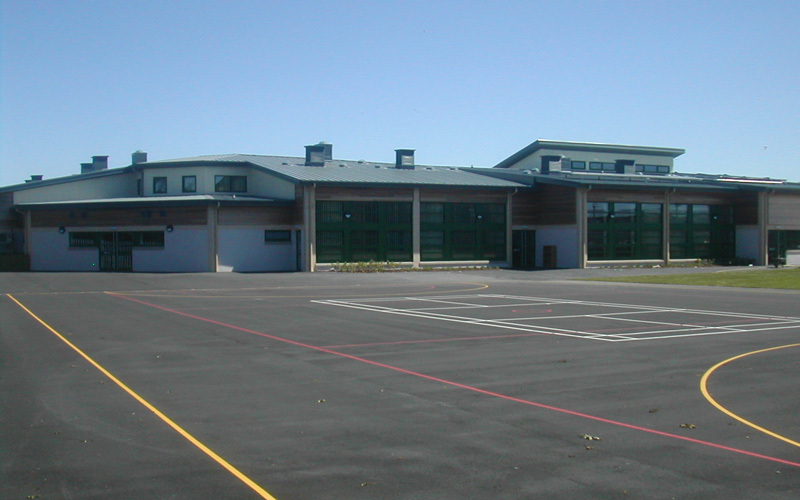 The new school in the Eithinog area of Bangor provides a state of the art facility suitable for the 21st Century. The orientation of the floor plan makes full use of the natural resources, particularly its ‘L’ shape form. Solar panels to supplement the hot water heating. Ground source heat pumps to heat the under floor heating. Photovoltaic panels and a wind turbine to supplement the electrical consumption. Recycled rainwater from the roof to flush the toilets. Natural daylight and ventilation through large windows. The new school benefits from being fully accessible to people with physical impairment, and has fire suppression sprinklers to protect the building. The children will benefit educationally by knowing how much energy is used daily by the renewable technologies. 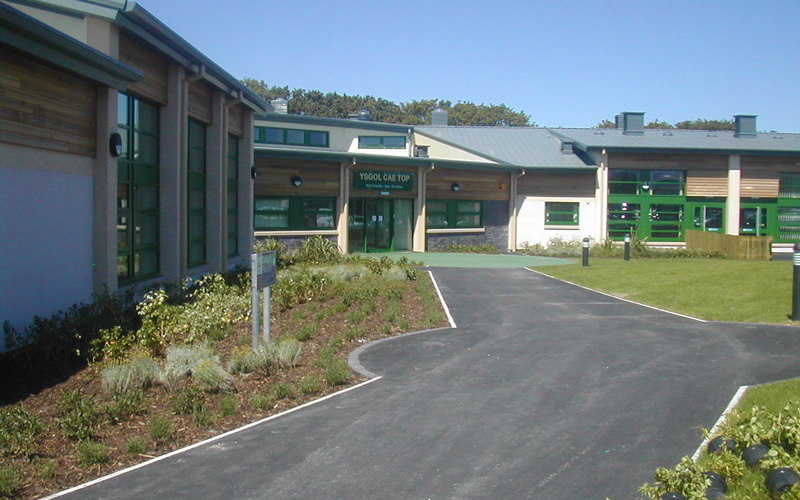 The majority of the floor area is on the ground floor, with the computer and music rooms located on the first floor. 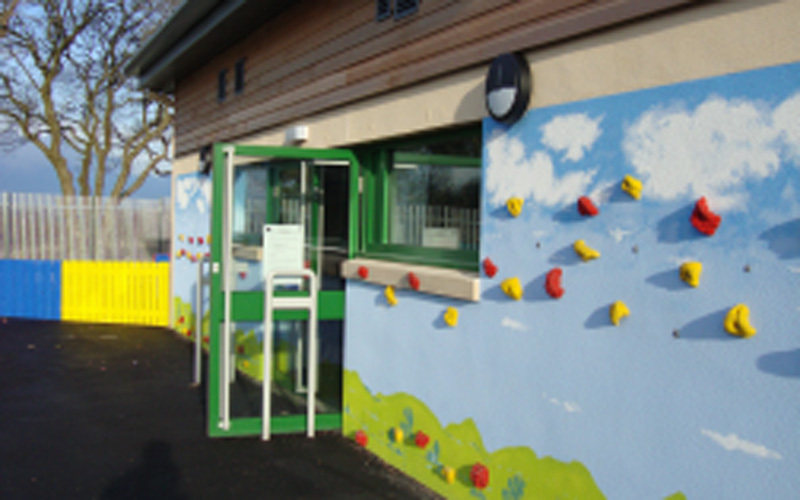 The school has an after-school club which will act as a community centre during certain times of the day.